I’m a girl who LOVES bargains, like many people do, so when I was recently invited to the Grand Opening of the newest OC Goodwill Boutique in Huntington Beach, I just couldn’t pass it up! 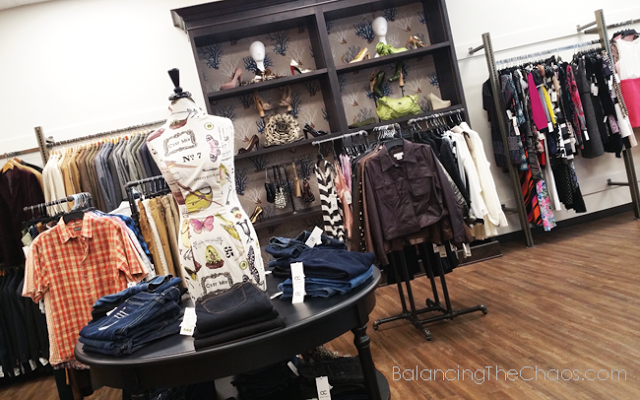 Formerly Classic Closet in Huntington Beach, this remodeled retail space features clothing, accessories, housewares and furniture mixed with designer brands at great prices. 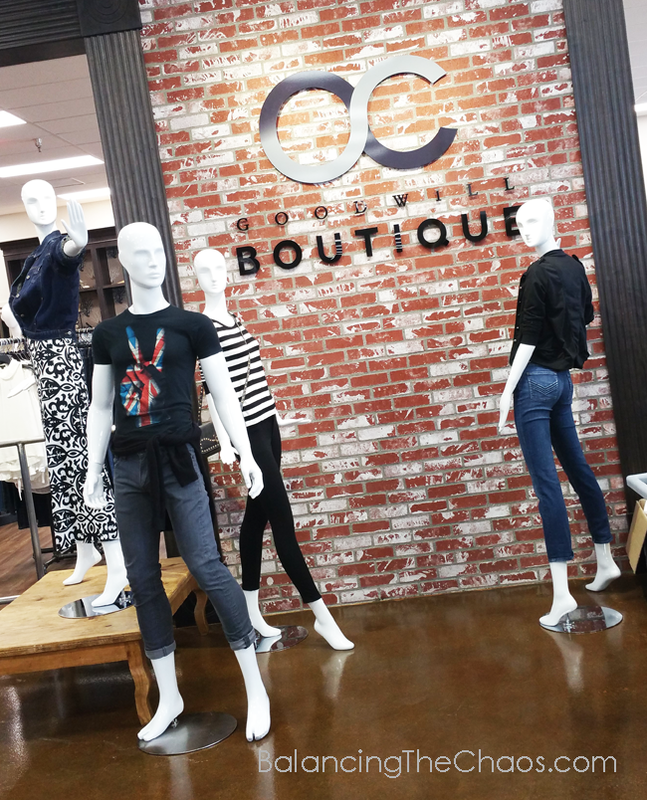 The newest addition to the space, a 2,400 square foot expansion, turned into a fashionable boutique offers a fresh, modern look for loyal shoppers. 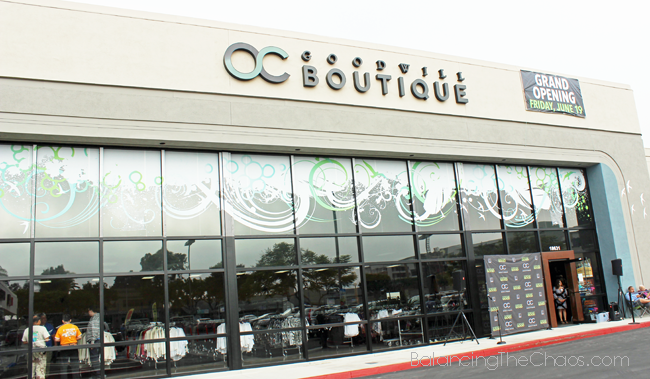 OC Goodwill Boutique is the third store in Orange County that curates gently used, designer fashion and goods that are affordably priced. 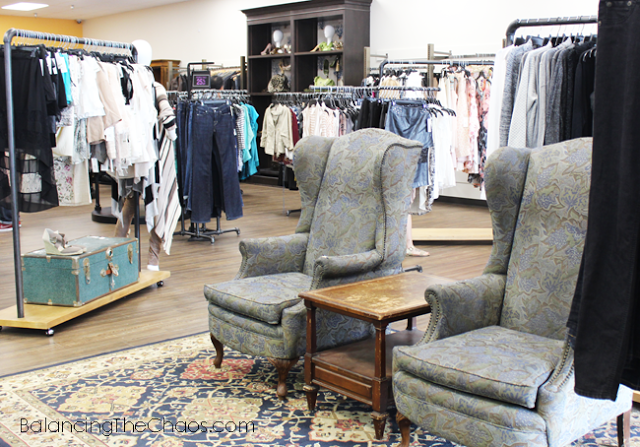 The other Goodwill Boutiques include Tustin and Lake Forest locations. When you walk into the OC Goodwill Boutique in Huntington Beach the right side of the store, behind the registers is the new boutique, uniquely designed with garment racks, comfy chairs, mannequins fitted with designer pieces and more. Here I found a free awesome blouses to add to my wardrobe. To the left of the entry way, you’ll find a traditional Goodwill retail layout with rows and rows of clothing sorted by color. The accessory and shoes sections are next loaded with great finds. The rest of the store was housewares and more, where I found two pieces I had to have. One being a white curio cabinet that would be perfect as a ballet trophy case for my ballerina; and a bookcase that with a little TLC, would be perfect for our entry way. I keep eyeing those chairs in the photo above – I wish I had more room for them as they would be fabulous as is, or with some new threads. It’s amazing what you can find when just browsing, there are so many options. Oh, and if you’re looking to donate a few items, the OC Goodwill Boutique in Huntington Beach is a donation center. They will take your gently used items you no longer have a use for. Goodwill of Orange County has supported thousands of Orange County Residents for 91 years by creating and providing quality training and employment services to empower its program participants to be productive and independent. Goodwill of Orange County has dozens of programs that support this effort, including Employment Training and Job Readiness programs, the Goodwill Fitness Center, orange County’s only facility specially designed for people suffering from chronic illnesses and physical disabilities’ its veteran’s advocacy program, Enduring Independence, which helps veterans and their families transition to civilian life through the power of work; and its Assistive Technology Exchange Center (ATEC), which provides access to more than 1,000 state-of-the-art technology devices for children and adults with disabilities.Disclaimer: As a Goodwill Ambassador, I received a gift card as a thank you for attending the Grand Opening of the OC Goodwill Boutique in Huntington Beach. All opinions shared are authentic and completely my own.